The Kirkup Report was published this week. It catalogues the failings in the maternity unit at Morecambe Bay between 2004-2013, when clinical errors contributed to the deaths of 3 mothers and 16 babies. 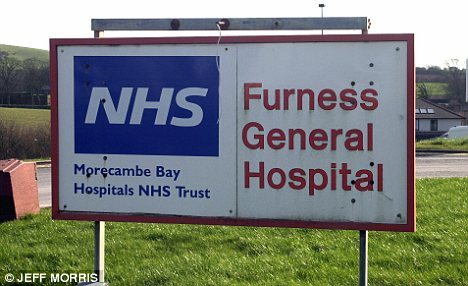 As the Report acknowledges, healthcare professionals can be expected to make mistakes, but in Morecambe Bay, like Mid-Staffordshire and Queen’s Hospital Romford before it, those mistakes can be traced to a rotten institutional system that privileged its staff and reputation above the care of its patients. Dr Kirkup makes clear his suspicion that many of the hospital’s failures are endemic in the NHS generally. The Report particularly criticises the ‘rudimentary and flawed’ investigations that took place after the deaths and suggests that investigative failures are widespread in NHS Trusts. Birthrights supports that view. Women who contact us frequently describe unsatisfactory hospital investigations into their complaints. We have heard of ‘investigations’ that do not interview relevant staff, that are hampered by missing or falsified notes and seem designed solely to protect the hospital’s interests. Women consistently report a refusal to acknowledge mistakes and a failure to treat them with compassion or respect. It is not only patients who suffer. Health professionals themselves can become the target. We have advised midwives going through punitive investigations (both by hospital management and Local Supervisory Authorities) that are used to silence them when they have raised concerns about culture and clinical standards. Dr Kirkup singled out for blame a group of midwives who styled themselves ‘the musketeers’. They perpetuated a ‘them and us’ culture, dishonestly concealed mistakes and pursued ‘normal’ childbirth ‘at any cost’. The charge that midwives sacrificed safety to an ideological agenda is an interesting one. It has led to inevitable clamour in the right-wing press that midwives (the Daily Mail’s favourite witches) bully women into natural childbirth in spite of the risks. In fact, ‘normal’ childbirth is promoted by maternal healthcare organisations around the world because it has been shown repeatedly to lead to the healthiest outcomes for the large majority of mothers and babies. Normal birth is not championed by midwives because of medieval blood lust, but because it is usually the best means of ensuring that woman and baby emerge from labour in good health. The motivation for the Morecambe Bay midwives’ exclusion of obstetricians from the unit is unlikely to have been principled adherence to evidence-based care (‘musketeer’ would be an unusual choice of title for a natural birth advocate); rather, they appear to have initiated an unethical and toxic battle for professional control over decisions in the maternity unit that had fatal consequences for women and babies. It is a sad consequence that the pursuit of well-evidenced maternity care has been conflated with their impropriety. As a consequence of the Kirkup Report, the Telegraph reports that the Department of Health has commissioned a review into the safety of midwife-led care (I cannot find any confirmation of this on the DoH website). The worth of such a review has to be questioned in light of the findings of the Birthplace Study, which comprehensively assessed the safety of midwife-led units in 2011, concluding that they led to better outcomes for women with low-risk pregnancies than other options. Rather than scapegoating a single profession, the Department of Health would do better to look at the systemic failures of communication and management that arose in all of the professions – midwifery, obstetrics, peadiatrics – implicated by the Report. Kirkup analyses the failings at a single NHS Trust; it does not answer the enduring question that arises from every hospital scandal – how can those charged to protect health end up doing harm? But yet Kirkup’s conclusions hint at a fundamental unease in modern healthcare – is inhumane, and even fatal, treatment inherent in large-scale institutional care? Within his recommendations, Kirkup suggests that the opportunities afforded by smaller units with a high-level of personal responsibility have been overlooked. Morecambe Bay, Mid-Staffs and the inevitable scandals yet to unfold, ought to make us to ask: have our healthcare institutions become too big to protect the humans at their heart? Following previous posts on this issue, we are very pleased to hear that UKBA has conceded that it, and its private contractors, cannot use force against children and pregnant women in the absence of a policy on the use of force. Four Claimants – a pregnant woman and three children – brought a judicial review on behalf of all children and pregnant women within the immigration system, challenging the legality of the UKBA’s practice of using force against these them in the absence of any clear policy limiting its use. Shortly before the hearing for an injunction in the High Court on Friday, the UKBA re-published an old policy addressing the use of force against pregnant women and children. That policy prohibits the use of force save where absolutely necessary to prevent harm. UKBA’s climb-down avoided the need for the court to extend an injunction which the Claimants had obtained in early February from Mr Justice Collins which prevented the use of force save to prevent harm occurring. In court before Mr Justice Turner on Friday, UKBA accepted that it is necessary for a policy to be in place and announced that they had published a policy today on UKBA’s website. Mr Justice Turner stated that there needed to be an immediate consultation on the terms of the policy applying to children and pregnant women. We are pleased to report that a legal challenge has been brought to the use of force against pregnant women and children in immigration detention by UKBA and private security contractors. The High Court granted an interim injunction preventing force from being used against the claimants (a woman 30 weeks pregnant and her small children) in the case until their claim is determined. The Home Secretary has failed to put in place a policy regulating the use of force following her rejection of the Prison Inspector’s recommendation that force can only be used where there is a risk of harm to self or another. The judge, Mr Justice Collins, expressed grave concern about the Home Secretary’s decision to continue to the use of force against pregnant women and children without a policy in place. The full judicial review will be heard soon. You can read about the background to the case in this Guardian article. I am often asked why I think human rights are relevant to maternity care. As a human rights lawyer, I am quick to think the answer is obvious: the NHS is bound by the Human Rights Act just like all other public bodies and so it must respect patients’ rights. But it’s fair to say that we are not used to framing debates about healthcare in human rights terms. The report, published today, into the “appalling suffering” of patients at the Mid-Staffordshire Foundation Trust shows us how systemic failings in the NHS lead directly to human rights abuse. Years of understaffing and a managerial culture focused on the interest of the system rather than patients’ needs, led to disrespect, indifference and neglect. The Trust violated patients’ basic human rights to life and humane treatment. As Robert Francis QC said “fundamental rights to dignity were not respected.” Human rights claims on behalf of over 100 of the victims families have already succeeded, revealing the power of the Human Rights Act to compensate for medical abuse. The labour ward at Stafford Hospital was implicated in the scandal. Women gave birth without attention from midwives and serious post-natal complications went undiagnosed. Birthrights has heard of bullying and coercion and procedures performed without consent. The focus on bureaucracy, finance and targets, on policy and protocol, simply fails to create a culture that can provide good quality care to individuals. Pregnant women know this only too well, repeatedly told that they must bow to the strictures of hospital policies that are put above their own needs. We know “corporate self-interest”, referred to by Francis, too often takes priority in maternity services. We know women’s complaints about their maternity care are routinely side-lined by Trusts and regulators. Human rights relentless focus on dignity and autonomy, on humane and person-centred treatment, means that pregnant women must never be treated as numbers to be churned through wards, but as individuals in the middle of a profound physical experience that will remain with them for the rest of their lives. Mid-Staffs shows us what happens when human rights are disregarded, but it also gives us hope that change will come in the form of real appreciation for women’s dignity. Interesting story yesterday about plans for midwives to ask routine questions about female genital mutilation in ante-natal appointments. Generally women will not have vaginal examinations during their pregnancies, so unless the question is asked (and answered honestly) it’s impossible to know whether they have suffered FGM until they are examined during or after childbirth. It’s not quite clear whether the main purpose of the new question is to identify women who might need additional support during childbirth (FGM can lead to complications) or whether it is to identify baby girls who may be at risk because they are born into families who have practiced FGM. Either way, midwives will need robust training and support to deal with the issue sensitively and ensure that women do not feel stigmatised and shut out from maternity care. A study just published in the USA finds horrifying mistreatment of pregnant women based on misguided application of ‘pro-life’ laws. The groundbreaking research reveals how attempts to create a separate legal entity for fetuses have led to arrests, detentions, and forced medical interventions on pregnant women. Co-authored by Lynn Paltrow at National Advocates for Pregnant Women, an inspirational organisation fighting hard to resist the rising incursions on pregnant women’s autonomy in the name of their unborn child. The Guardian has reported today on the UK Borders Agency refusal to stop its security contractors (the notorious G4S) using force to remove pregnant women from the UK. Pregnant women have reported being mistreated by G4S staff – including being pushed in the stomach and dragged around the floor. The Prison Inspectorate reported on mistreatment in October and recommended that the use of force ceased. Medical Justice, a charity investigating healthcare abuses in immigration detention, is doing great work about the treatment of pregnant women detainees.